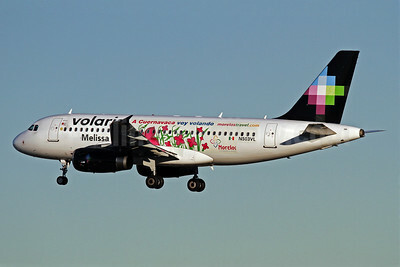 Volaris Airbus A319-132 N503VL (msn 3491) (Melissa-A Cuernavaca voy volando) LAX (James Helbock). Image: 905894. 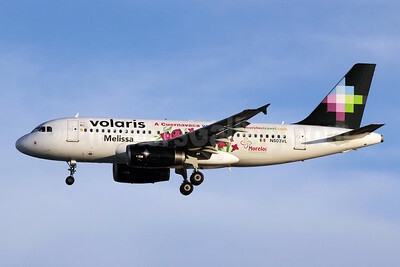 Volaris Airbus A319-132 N503VL (msn 3491) (Melissa-A Cuernavaca voy volando) LAX (Michael B. Ing). Image: 909054. 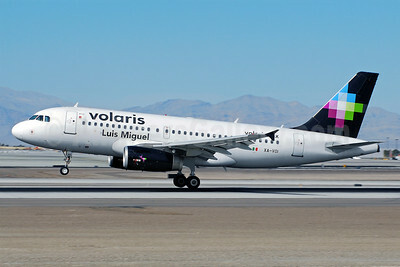 Volaris Airbus A319-132 N503VL (msn 3491) (Miguel) LAX (Michael B. Ing). Image: 909058. 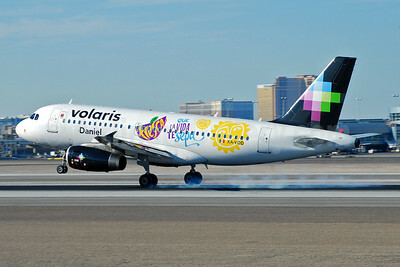 Volaris Airbus A319-132 N504VL (msn 3590) (Gabriela - Phoenix Sky Harbor Airport) LAX (James Helbock). Image: 921933. Volaris Airbus A319-132 XA-VOF (msn 3077) (Fernando) LAX (Michael B. Ing). Image: 906410. 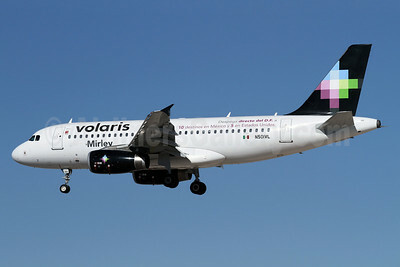 Volaris Airbus A319-132 XA-VOI (msn 2657) (Luis Miguel) LAS (Eddie Maloney). Image: 920849. Volaris Airbus A319-132 XA-VOR (msn 2296) (Rebeca) LAX (Michael B. Ing). Image: 913157. 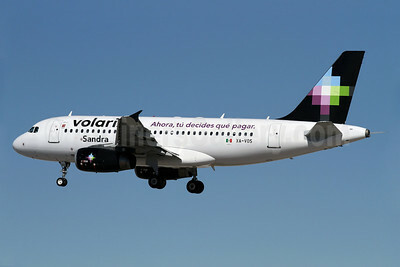 Volaris Airbus A319-132 XA-VOS (msn 3252) (Sandra-Now you decide to pay) LAS (James Helbock). Image: 910983. 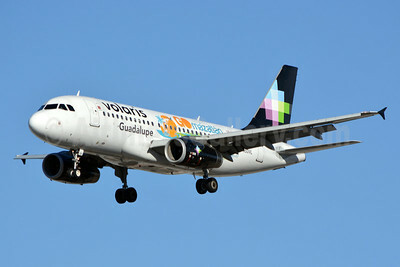 Volaris Airbus A319-132 XA-VOT (msn 3317) LAS (Ton Jochems). Image: 921339. Volaris Airbus A319-133 N501VL (msn 2979) (Guadalupe - Go Mazatlan) LAS (Jay Selman). Image: 402297. Volaris Airbus A319-133 N501VL (msn 2979) (Leopoldo) LAX (Michael B. Ing). Image: 906411. 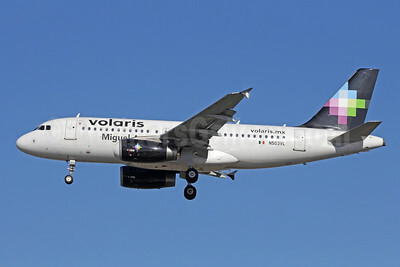 Volaris Airbus A319-133 N501VL (msn 2979) (Mexico City - 10 destinations from Mexico and 5 from USA) LAX (James Helbock). Image: 910984. 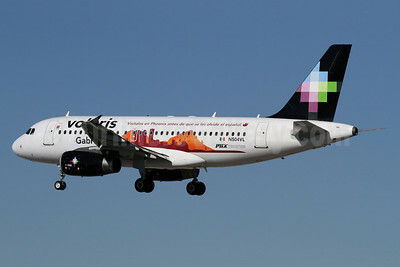 Volaris Airbus A319-133 N501VL (msn 2979) LAX (James Helbock). Image: 906222. 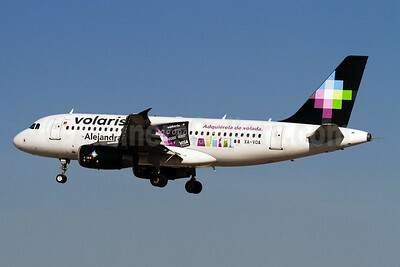 Volaris Airbus A319-133 XA-VOA (msn 2771) (Adriana-Krispy Kreme Donuts) LAX (Michael B. Ing). Image: 909055. Volaris Airbus A319-133 XA-VOA (msn 2771) (Alejandra-VISA Platinum) LAS (Arnd Wolf). Image: 926179. 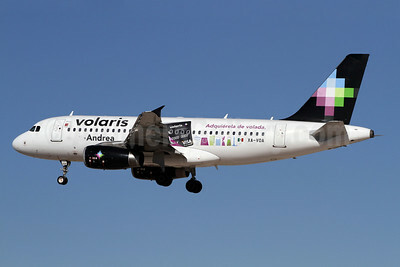 Volaris Airbus A319-133 XA-VOA (msn 2771) (Andrea-VISA Platinum) LAX (James Helbock). Image: 910985. 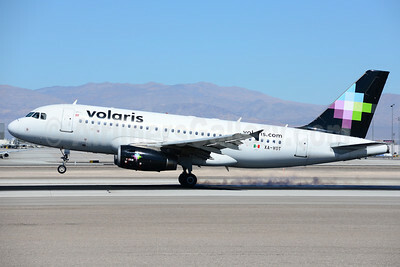 Volaris Airbus A319-133 XA-VOC (msn 2997) (Carlos) LAS (Eddie Maloney). Image: 907338. 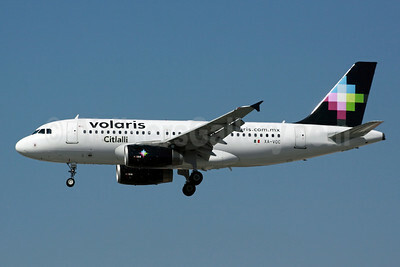 Volaris Airbus A319-133 XA-VOC (msn 2997) (Citiali) LAX (Michael B. Ing). Image: 906412. 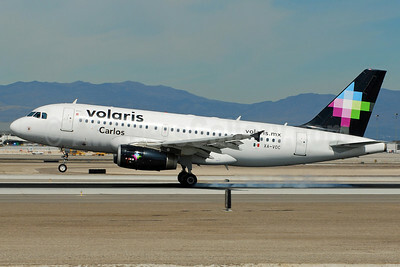 Volaris Airbus A319-133 XA-VOD (msn 3045) (Daniel) LAX (Michael B. Ing). Image: 939279. Volaris Airbus A319-133 XA-VOD (msn 3045) (Daniel-Fresca-Que La Vida Te Sepa) LAS (Eddie Maloney). Image: 909463. 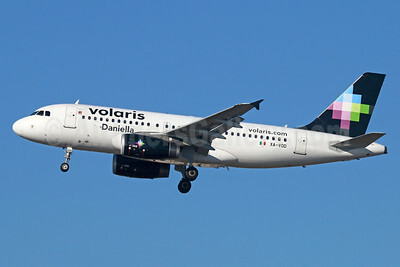 Volaris Airbus A319-133 XA-VOD (msn 3045) (Daniella) LAX (Michael B. Ing). Image: 923762. 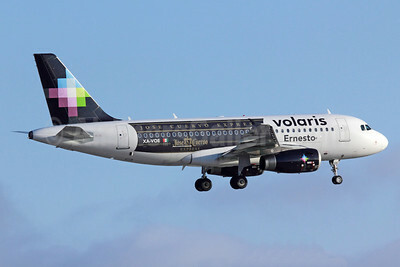 Volaris Airbus A319-133 XA-VOE (msn 3069) "Jose Cuervo Express" LAX (Michael B. Ing). Image: 912703. 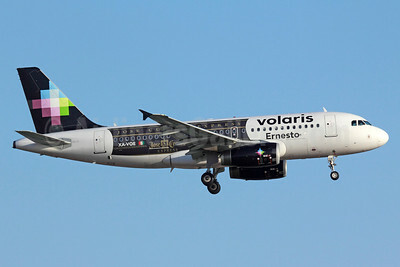 Volaris Airbus A319-133 XA-VOE (msn 3069) "Jose Cuervo Express" LAX (Michael B. Ing). Image: 912704. 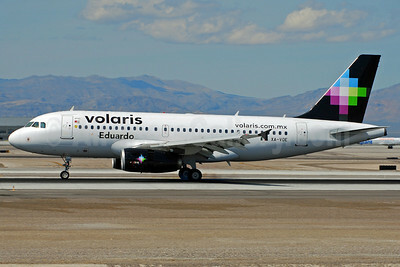 Volaris Airbus A319-133 XA-VOE (msn 3069) (Eduardo) LAS (Eddie Maloney). Image: 906329.